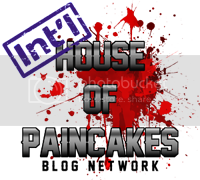 Chickhammer: Bound for NOVA Open 2014! It's that time of the year again, folks! 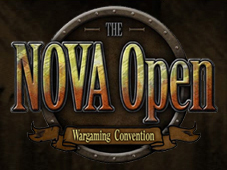 NOVA Open is this weekend! I'll be running my Space Wolves in the 40k GT, with a list cobbled together from my old edition models for the new edition rules. It's better than it sounds- all my models got cheaper so I threw a dreadnought into the list just because I could. This year it seems there are no seminars that both appeal to me and fit around my schedule, so it's just going to be lots of 40k and hanging out with friends. There worse ways to spend a weekend, for sure. I think I might, just might, have a painting competition entry. My super enthusiastic "oh, I'll have 3 entries" from three months ago died when it took me two months to finish my Imperial Knight. Man, that dude was complex. But, I have a little something up my sleeve that I can hopefully finish today. If you're in the DC area, and not going to NOVA- what's wrong with you? Convention passes are available for each day, and I highly recommend you come and check things out! There's a vendor hall, as per past years, but new (and very exciting) this year is the demo hall! I hope I get a chance to spend some time there. Whenever possible (barring terrible internet access), I'll be tweeting and sharing photos from the event which you can follow @LilThunderLiz. If you're going, too, I hope to see you there!